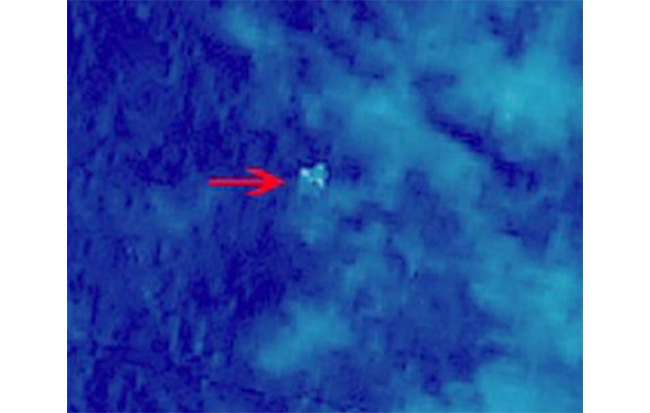 BEIJING: China said its satellites have detected three large floating objects in a suspected crash site near where a missing Malaysian jet lost contact, the latest twist in a hunt which entered its sixth day Thursday. China's state science and technology administration said late Wednesday that a Chinese satellite had seen the objects in a "suspected crash sea area" in the South China Sea on March 9, and that the images were being analysed. The search for Malaysia Airlines flight 370 now encompasses nearly 27,000 nautical miles (over 90,000 square kilometres) -- roughly the size of Portugal -- and involves the navies and air forces of multiple nations. The hunt originally focused on an area off Vietnam's South China Sea coast, where the Boeing 777 last made contact Saturday on a journey from Kuala Lumpur to Beijing. It added that they were spread across an area with a radius of 20 kilometres (12 miles), in sizes that appeared to be 13 x 18 metres, 14 x 19 metres and 24 x 22 metres. 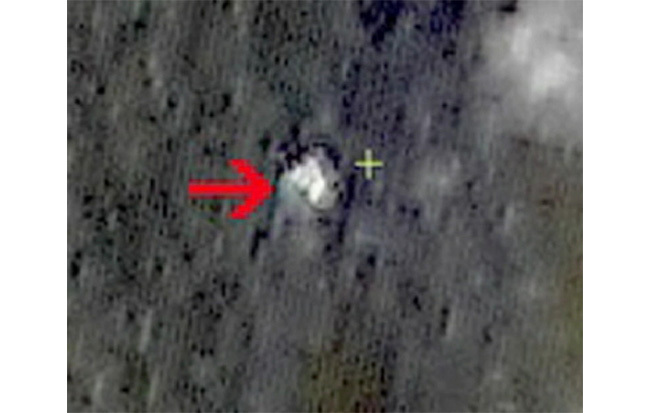 Previous sighting of possible debris have proved not to be from the jet. It was not clear whether or when the images had been shared with Malaysian officials coordinating the ever-shifting search effort. Officials could not immediately be reached for comment Thursday morning. US authorities said Wednesday that their spy satellites had detected no sign of a mid-air explosion when a Malaysian airliner lost contact with air traffic controllers. On Wednesday, Malaysia denied that the hunt for the aircraft was mired in confusion after a series of false alarms, rumours and contradictory statements. Malaysian air force chief General Rodzali Daud attempted to explain why the search zone had been expanded, telling a press conference that military radar detected an unidentified object early Saturday north of the Malacca Strait off Malaysia's west coast. He said that the reading, taken less than an hour after the plane lost contact over the South China Sea, was still being investigated and they were not able to confirm it was MH370. Analysts said there were burning questions over what information -- if any -- Malaysia has gleaned from both military and civilian radar, and the plane's transponders, and over discounted reports it was later detected near Indonesia. One new detail did emerge: the words of MH370's final radio transmission. Malaysia's ambassador to China, Iskandar Sarudin, said one of the pilots said "alright, good night" as the flight switched from Malaysian to Vietnamese airspace, according to Singapore's Straits Times newspaper. Azharuddin Abdul Rahman, Malaysia's civil aviation chief, later confirmed to AFP that those were the last words from the cockpit. "If the Malaysian military did not see MH370 turn toward the Malacca Strait, then why the search? Who decided to look there and why?" one comment said. The anger was compounded by a report aired on Australian television of a past cockpit security breach involving the co-pilot of the missing jet. Malaysia Airlines said it was "shocked" over allegations that First Officer Fariq Abdul Hamid, 27, along with a fellow pilot, violated airline rules in 2011 by allowing two young South African women into their cockpit during a flight.